Habitat: Thorn forest of the dry southwest or a vivarium. Standing's Day gecko is one of the largest geckos in Madagascar. This gecko color can range from a bluish-grey to a turquoise -green. 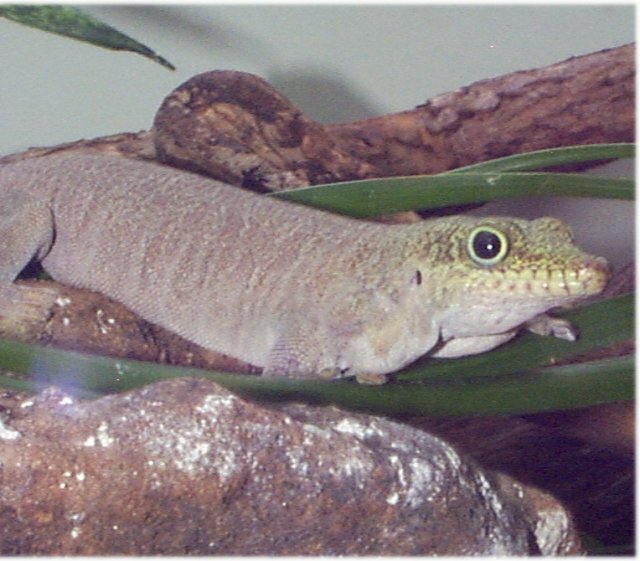 The length of the gecko can attain anywhere from 8 to 10 inches long. The gecko has the capability to climb up smooth vertical surfaces and stick to cellings because of its toes. 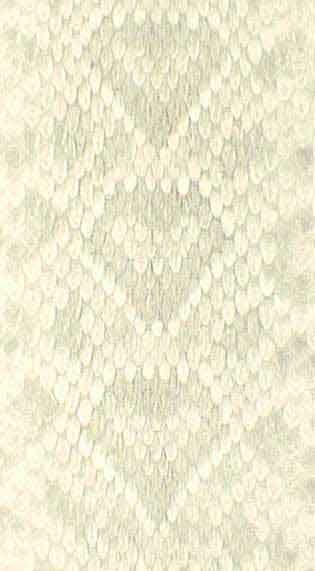 The toes have scales on the undersurface of their feet that have widened out cushions. Small microscopical bristles are located on these cushions which are the reason they are able to climb and stick. 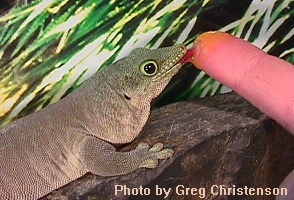 The day gecko is primarily a desert species that doesn't live well in an always humid surrounding. This gecko lives in thornbush forests in the dry southern region of Madagascar. There they get a lot of sun, heat and drought. 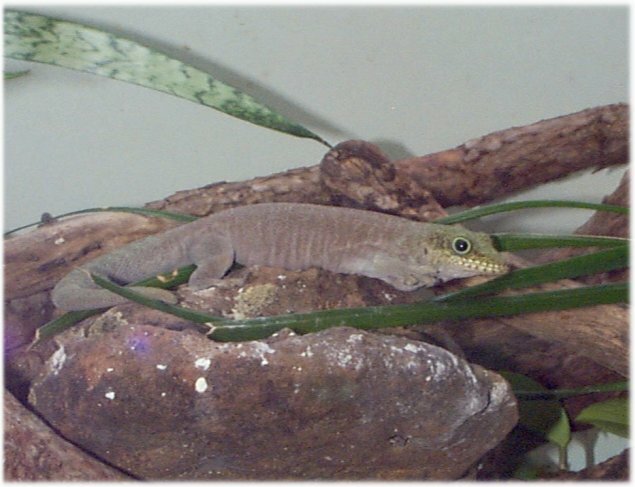 In captivity the gecko requires a 24" X 12" vivarium. They need UV lighting 12-14 hours per day with a basket area of two different temperatures -- one area at 84-86 degrees, and another at 80 degrees. The lizards need plenty of hiding places like imitation plants, rocks, bark and climbing branches. There needs to be a small shallow bowl for bathing and drinking. Males may become territorial, so it would be best to keep the males far away from eachother. The gecko is very active and can be hard to hold because of its moving around. The skin on the gecko can be easily damaged and too much handling of the gecko can cause stress and damage the skin more. The structures on their toes also allow them to be good climbers. 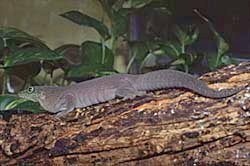 Some of the geckos are arboreal, tree dwelling and some are duurnal, active in the day. Reproduction of the geckos is different from other animals. They are incubated for 70 days. The size of the eggs are the size of two eggs attached to each other. The females hold the egg in their hind legs until they become hard and the young has a yellowish-green head. The neck and back of the baby is brown with a row of light colored stripes.The geckos are fed actual baby food at some zoos till they are big enough to eat insects. I went to the Fort Worth Zoo and observed my gecko. The gecko did not seem to be very active at the time. He was lying in a log. The zookeeper that I spoke with said that because of the cold weather they tend to hide under things to stay warm. The gecko's skin color was very pretty. It was a blueish green shade. At the time he was shedding part of his skin. The gecko stayed in that one place for the time that I was there. Geckos: Everything About Selection, Care, Nutrition, Disease, Breeding and Behavior. By Patricia P. Bartlett. August 1995. pg 37-49. The General Care and Maintenance of Day Geckos. By Sean McKeoun. June 1996. pg 104-118.